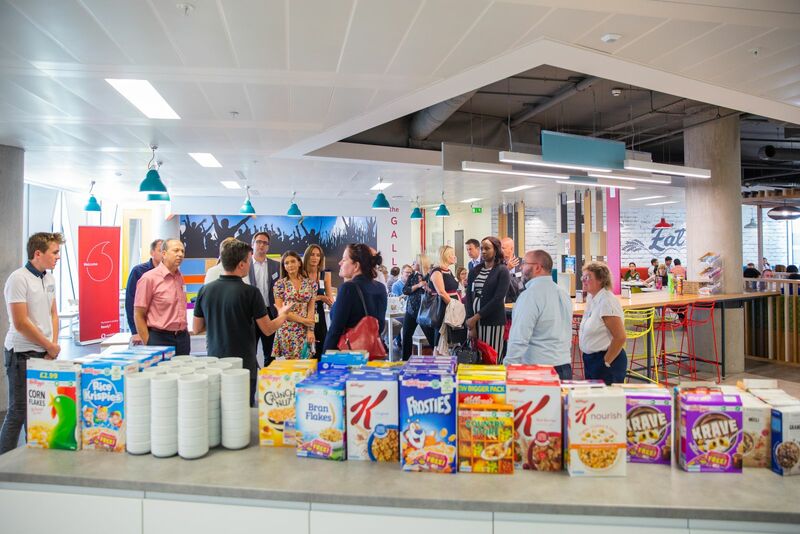 ‘I can feel the energy, this is really good.’ That was the verdict of Kellogg’s Global Chief Executive when he visited Orange Tower in June. It’s been six months since the company moved 450 people from its site on Talbot Road in Trafford – to the future. 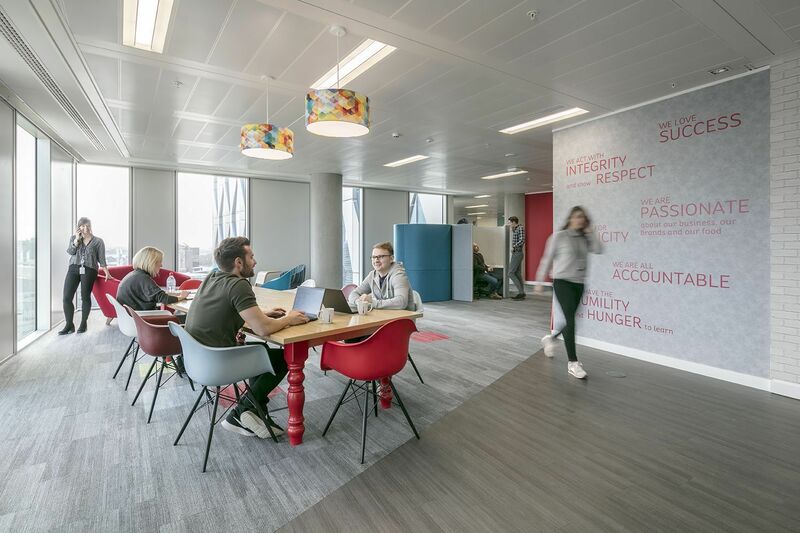 Kellogg’s UK business, with teams from its European operation, now occupy three floors of space next door to the BBC, ITV and the University of Salford. “The change has been night and day,” says Director of Corporate Communications Paul Wheeler (pictured). “I remember when we’d nearly finished the fit out and I had to go back to the old building… I walked towards it, thinking, ‘I don’t want to go in there’. The Kellogg’s move is an example of how work is changing. Talbot Road was built in the late 1980s. It has a big fence, even bigger car park, offices behind closed doors; the building faced inward. That’s how things were back then, it’s what people expected. They didn’t even really know their neighbours. But in a changing world, where ideas flow freely, innovation is driven through technology, collision and collaboration. Space can enable these things and proximity to others encourages openness too. “From a business performance perspective, it has been about energy,” says Paul. “Imagine having a building designed to hold 1,000 people, with 450 people; you are going to have a lot of space and people rattling around. The space has been designed to generate energy. Teams are clustered on each floor, but they can work anywhere. 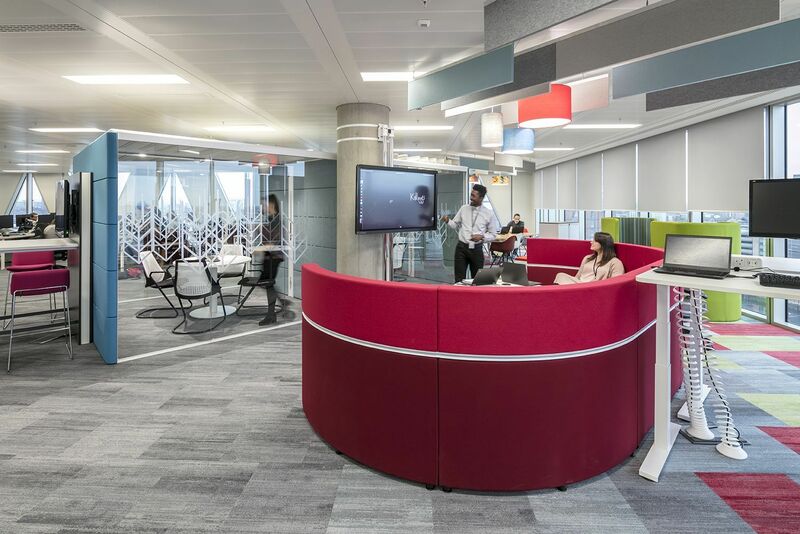 Pods for meetings are mixed with smart screens, sofas and huddle areas for small meetings. It does feel open. On the middle floor, there is a dedicated social space. No-one eats at their desks anymore and some have met others for the very first time, over cereal. This is good feedback, when a core driver of the move was about culture. Last year, the company announced some big changes to its product lines, reducing sugar and changing nutritional profiles. It’s responding to shifting mindsets on food and finding its place in “modern Britain”. The culture had to shift too. “In our last office, we had constant programmes to try and change the culture,” says Paul. “The furniture was old; the building was old. Every time you tried to take people into a new space mentally, they still sat in the same chair. Media City has also created energy for Kellogg’s. Paul says his team are more integrated with the business community, holding events, welcoming people to see what they have created. If people aren’t offered a tour they always ask for one. It’s a shared building too. Gone are the fences and fortress walls; replaced by famous people in the lift from ITV and opportunities to work on projects with the University of Salford downstairs. Openness to others, openness to ideas, too. “When we arrived here, we took over the Metrolink stop and Tony the Tiger became the voice over for the tram. Some people said to us: ‘Why are you coming here, you are not a media business?’” says Paul. There is a lot of talk about ‘workplace’ as a lever to attract and retain staff. 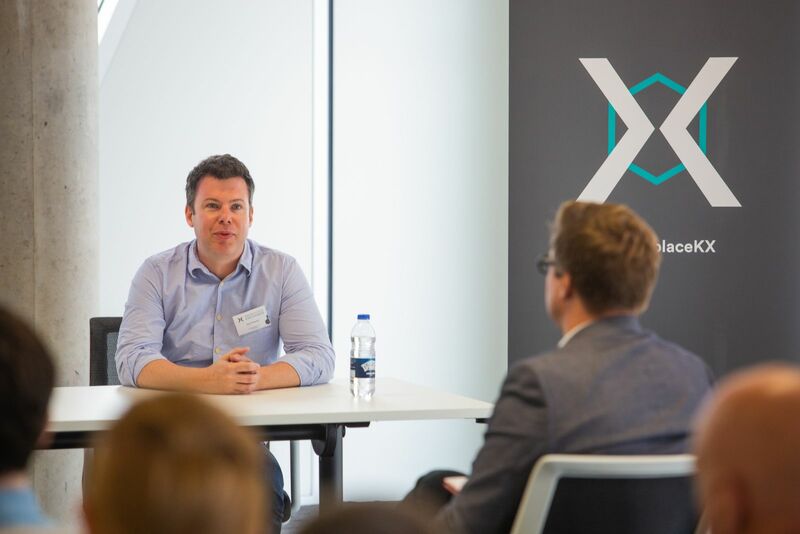 Speaking at the Knowledge Exchange event in July in Manchester, Ben Lamont, European Talent and Diversity Director at Kellogg’s says: “The whole environment has to be conducive to attraction and retention. The focus is often more about attracting people, which I think is critically important. But keeping them is important – we want people to love coming to work. Change can be hard for some people, and although a new office is intended to be positive, it’s easy to assume what’s important to people. Ben says: “When we announced the move, it was around the time of the Manchester bomb and Grenfell Tower and some employees were concerned about being in a high-rise building and a more visible location. Paul says the process of change required patience, especially with 450 people. “When we announced the move at a town hall meeting – some people whooped, other weren’t sure and some said: ‘over my dead body am I leaving this building’. But I reminded our leaders this is a process: every day, every week we will generate less resistance and more advocacy,” he says.